GameReviewPad gives their thoughts on the Bubsy: The Woolies Strike Back – Gameplay Trailer. Wait, there’s a new Bubsy game? Huh? This was exactly my reaction when I stumbled upon this trailer because I can’t recall the last time I saw this Bubsy character since the Sega Genesis days. That being said, here we are with another Bubsy game set to be released with little to no publicity. Bubsy: The Woolies Strike Back has a nice 3D in the trailer, as Bubsy runs around collecting yarn, appearing to be like previous Bubsy games. Admittedly, I never played a single Bubsy game, but I always recall seeing this furball’s face on many magazine covers and in articles, so Bubsy was hard to avoid seeing in the 1990s. 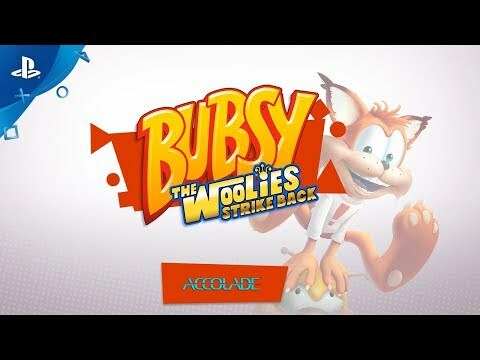 Does this trailer intrigue me enough to want to play Bubsy: The Woolies Strike Back right away? This certainly doesn’t put it high on my priority list, but the lack of publicity for a well known franchise always raises red flags to me. I don’t even remember seeing this at E3 2017. This could simply be a matter of funding, but it is concerning. It appears to be just like previous Bubsy games, but I hope there is more to it than simply having a nice 3D look.